What if a teacher’s most promising pupil is also her most dangerous? Aspiring writer Vera Lundy hasn’t entirely overcome her own adolescence when she agrees to teach at a tiny private school. A recent murder has already put their small New England town on edge when Vera bonds with a student who’s eerily reminiscent of her younger self. Amid a growing sense of menace, Vera finds herself in the vortex of danger—and suspicion. Reading true crime reportage adds rare spice to English teacher Vera Lundy's almost monastic life in Dorset, Maine that is, until a new job subbing at a girls' prep school there puts her perilously close to a killer, in this affecting novel of psychological suspense from Watson (Asta in the Wings). Her class's current reading assignment, The Catcher in the Rye, seems to allow even Vera, who is very reserved, to connect with her teenage pupils, though they are still shaken by the recent murder of a local 11-year-old girl, the dean's niece. The assignment also allows Vera to risk a closer bond with 15-year-old scholarship student Jensen Willard, an outsider whose writing talent and dark humor remind her of her own troubled adolescent self. Then one of Vera's pupils is strangled, and police start scrutinizing her as a person of interest. 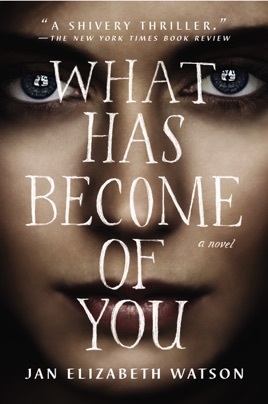 Watson's twisty plot speeds with page-turner momentum, but what's likely to stick with you are the complex characters of Vera and Jensen, who are, by turns, vulnerable, flawed, and surprising, bravely struggling to rewrite the stories of their lives.